Pricey printing, but is it worth every penny? The Panasonic PX30 is still very new and it could be a while before prices settle down properly. As it is, though, it does look expensive for what is a fairly ordinary dye-sub printer. 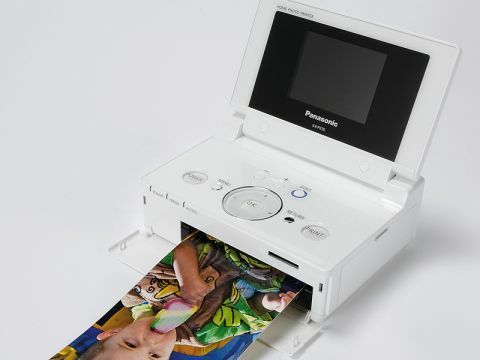 It does have special enhancement options for pictures taken on Lumix digital cameras and it can also print on 'widescreen' sheets as well as regular 6 x 4-inch paper, but on the other hand, it can only print from SD cards (or via Pictbridge), so it's less versatile in that respect than some rival printers. The laptop-style lid means the screen is protected while the printer's not being used, but while the screen is clear and colourful, it took a long time to render photos when we used the menus to make adjustments, drawing them painfully slowly almost a line at a time. The printed results were good, though.